DALLAS—Prairie View A&M University football got off to a fast start, but couldn’t sustain it. The Panthers lost the Southwest Airlines State Classic game 36-16 to Grambling State. With more than 53,000 screaming fans in the Cotton Bowl Stadium, the Prairie View Panthers were dominated by the Grambling State Tigers for three quarters of the game. Will Skinner got the Panthers on the board in the first quarter with a safety on the second play of the game for 2-0 lead. The Panthers’ offense made their mark on the board when Sophomore Wide Receiver Demarquo Lastrappe wowed the crowd catching a 49 yard pass from Trey Green. With five minutes remaining in the first quarter, the freshman running back from Terrell Dawonya Tucker rushed for 33 yards for the last scores for the Panthers. The Panthers (3-2 overall, 3-1 SWAC) did not score again as Grambling scored the game’s final 36 points (3-1, 3-0 SWAC). As far as offensive stats, Prairie View and Grambling were pretty closely matched. Both teams had near time of possession, 200 yards rushing, kickoffs return, etc. The only difference is that Grambling capitalized on key plays resulting in dynamic pass plays, 200 more yards, more first down conversions and eventually the entire ball game. Pregame, Coach Simmons bragged on the potency of the Panthers’ ground game. Unfortunately it was nowhere to be found on Saturday. Prairie View A&M football returns to action at home Saturday hosting Alabama State in the homecoming game at 2 p.m. at Panther Stadium. 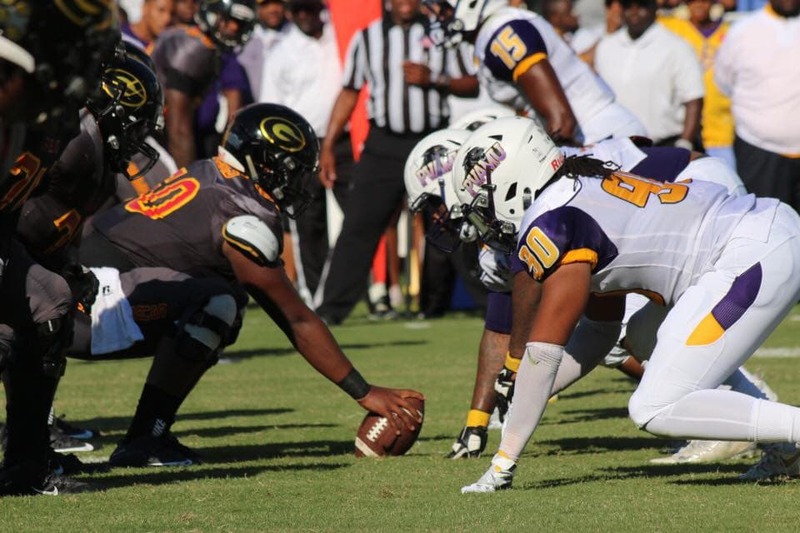 Grambling State has two weeks off as they prepare to travel to Mississippi Valley State on October 22 at 2 p.m.